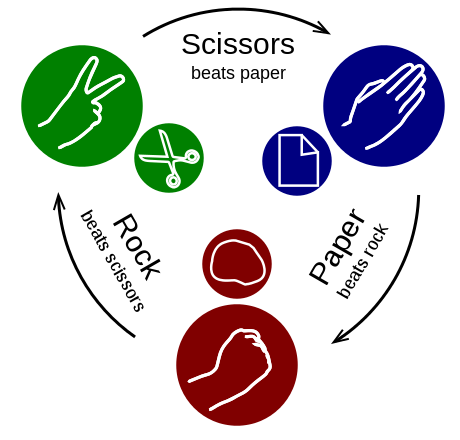 Use rock, paper, scissors to resolve arguments with your friends? Well, never go against Janken. About a year back, scientists at the University of Tokyo, Japan, invented a robot that plays rock, paper, scissors (also known as scissors, paper, stone), and always won. Well, there’s bad news – that robot just got even faster! The robot’s name is Janken, and it wins by cheating. It uses a high speed camera to see what the person’s hand is doing, and then makes its move. The robot used to take about 20 ms (that’s 1/50 of a second) to make its choice after a human being formed his/her hand shape. The new and faster Janken forms its hand shape almost at the same time as the human being’s hand shape is formed. Scientists call Janken “one example of human-machine cooperation systems”. Well, the human seems to be cooperating more since the robot always wins . Here is a video.